At Bushnell Porter Estate Agents we offer a comprehensive sales and purchase package to our clients, all from one location. The office is led by Marcus Redmayne-Porter who has had 23 years continuous experience in Bordon and we are Bordon's longest established independent estate agents. Our property showroom is staffed by friendly, well trained and experienced staff, whose aims are to provide you with a personal service. Kingswood Property & Financial Services are an independent estate agent based in Bordon specialising in the Buying, Selling and Letting of residential property in the local area. 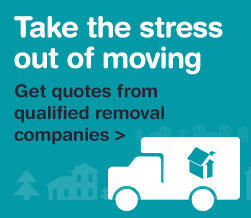 Moving is a busy and exciting time, we are here to make sure the whole experience goes as smoothly as possible. We are an independent agent with over 22 year’s experience selling properties from Bordon. Our dedicated team offer a personal service and are extremely proud of the fact clients come back to us time and time again.